Mr. Kenneth Randall Nelson, age 74, passed away Saturday, September 22, 2018. He was born in Muskegon, Michigan on December 20, 1943 to Charles & Gloria (Christofferson) Nelson and served his country in the US Air Force during the Vietnam Era. 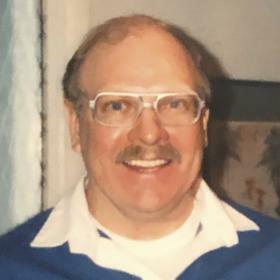 Mr. Nelson had been employed as a Nurse for Wiess Memorial Hospital for 20 years until retiring and then went to Sappi Fine Paper as an industrial nurse where he finished his career. Kenneth was a member of Church of Jesus Christ of Latter-day Saints, COSMOPS and the American Guild of Organists. He loved to play the organ and piano and enjoyed gardening, picking fruit and spent many hours taking care of the grounds at the church. Siblings, Diana Jones, Douglas (Tricia) Nelson, Melody (Wayne) Walden, Christina (Andy) Nelson; sister-in-law, Elka Nelson; many nieces, nephews, great nieces, great nephews and special care giver, Val. He was preceded in death by his parents & brother, Lawrence Nelson. Friday, September 28, 2018, 1:00 pm at Church of Jesus Christ of Latter-day Saints with Brother Doug Cengiz officiating. Interment in Laketon Township Cemetery. Thursday, 6:00 pm to 8:00 pm at Church of Jesus Christ of Latter-day Saints. MEMORIAL: American Guild of Organists - Muskegon Chapter.